If you’re a fan of Klondike, Freecell or Spider solitaire - you’ll enjoy this! 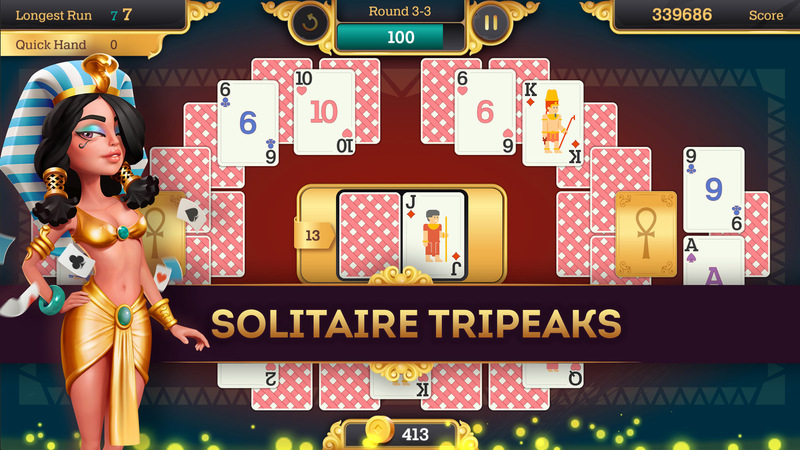 If you love solitaire games such as Pyramid solitaire - Cleopatra Solitaire TriPeaks is exactly for you! ● A lot of Achievements, Daily Quests and Prize Chests are waiting for you. ● More than 500 levels and card layouts to play every day. ● 3 type of Global Challenges: Free, Quick and Hard. 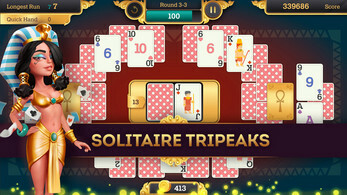 Play Cleopatra Solitaire TriPeaks with other players. 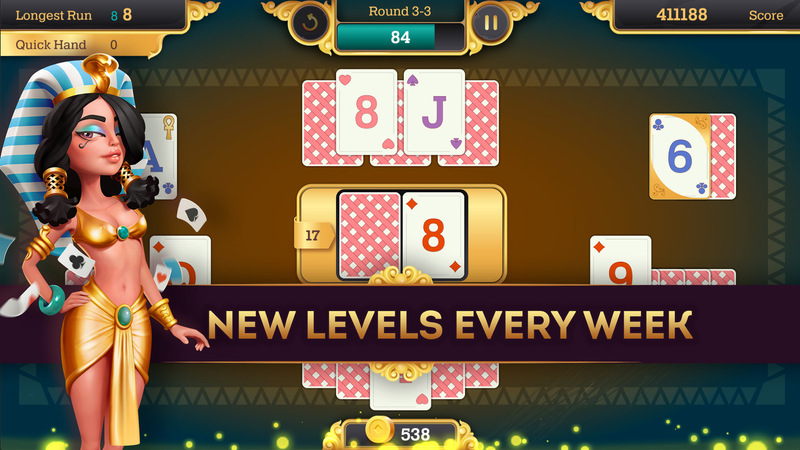 ● Cleopatra Solitaire TriPeaks is totally free to play!! - Free Challenge: everyone is welcome to get some prizes here everyday. - Quick Challenge : only 100 players, only one chance to get prize here. Equal chances to win - everyone plays exactly the same card layouts here. - Hard Challenge : consist of two stages: qualification and final, both of them last for an hour, this is kind of a blitz battle. Everyone who passes qualification stage has a really big chance to win a great prize. 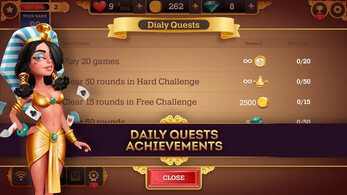 - pass the Daily Quest to get Free Powerups, Unlimited Hearts, Diamonds and Gold Coins. - take the Timer Bonus before you play to get more time to play and more score. - take the Joker Bonus before you play to get the wildcard that can be played with any any other card. - some levels are quite complicated, for example Mahjong Pyramid layouts, but all of them are solvable, don't give up! - make fast combinations, Quick Hand is your friend on the way to high score. - clean up all the cards, every removed Gold card will give you 10000 bonus points. - keep the deck as full as possible, every card left in the deck is your bonus points. 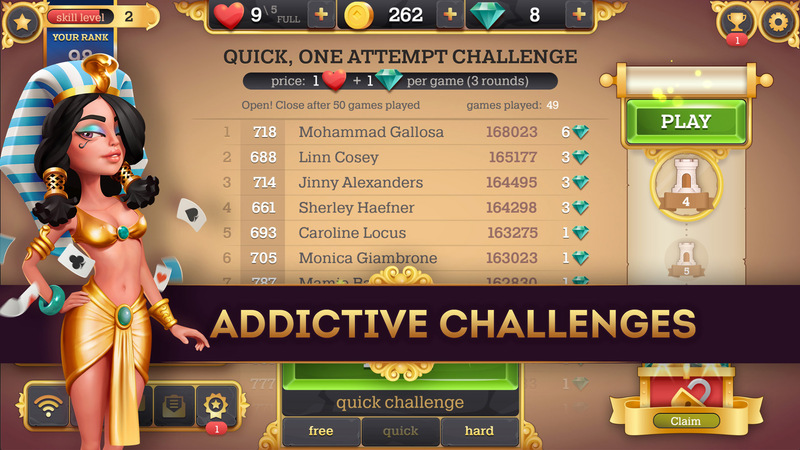 - play smart, be the Champion of Cleopatra Solitaire TriPeaks!